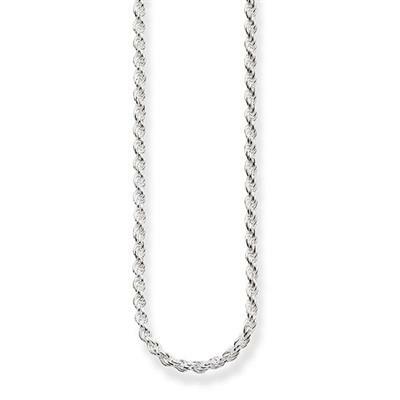 A decorative chain by Thomas Sabo created using 925 sterling silver. This Silver chain has a twisted cord-like design giving it extra strength and it measures 50cm in length and fastens with a lobster clasp. Perfect for wearing with your favourite Thomas Sabo pendants and charms.